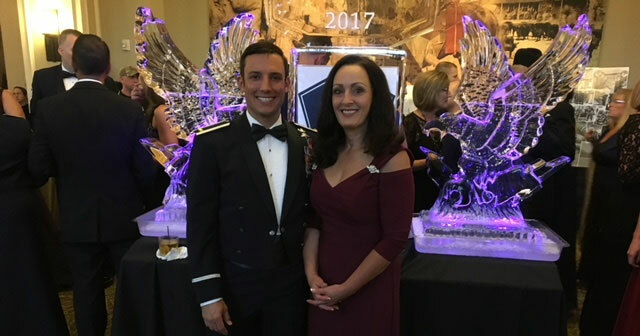 Marc (left) and Bonnie (right) share a smile during the 2017 Air Force Ball. Bonnie will be participating in this year’s Face of America Ride to Gettysburg, a two-day, 120-mile bicycle and hand cycle ride from Washington, D.C. to Gettysburg, Pa. Being part of a team provides an identity, instills inspiration and offers motivation when times are hard. For Bonnie Esposito, team has taken on another meaning. In 2009, her son Marc was injured while serving overseas in the United States Air Force. She remembers talking to medical personnel at Walter Reed National Military Medical Center afterward. Following his recovery, Marc was invited by World T.E.A.M. Sports to participate in the Face of America Ride to Gettysburg, a two-day, 120-mile bicycle and hand cycle ride from Washington, D.C. to Gettysburg, Pa. Esposito recalls the immense pride she had for her son biking in 2010. “It was a blast to watch him participate in that event,” Esposito said. The acronym T.E.A.M. stands for “the exceptional athlete matters.” World T.E.A.M Sports strives to build self-confidence for participants with disabilities and enhance physical fitness with each event. Active or retired military service members and first responders who have sustained injuries or issues during their service are asked to participate in events each year. As the office manager at the Mahoning Valley Chapter of NECA, Esposito knows firsthand how passionate member contractors and IBEW electricians are about supporting the armed forces. 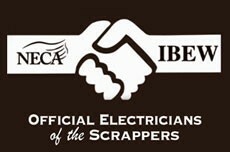 A majority of Esposito’s fundraising efforts has come from the local electrical industry. To prepare for the 120-mile trek, Esposito has kicked up her training with spinning classes and weight resistance exercises. Last week, she started taking two spinning classes per day, biking up to 35 miles during the sessions. In addition, she has been hitting the dirt on bike trails across the Mahoning Valley. This entry was posted in News on April 10, 2018 by necaibew.